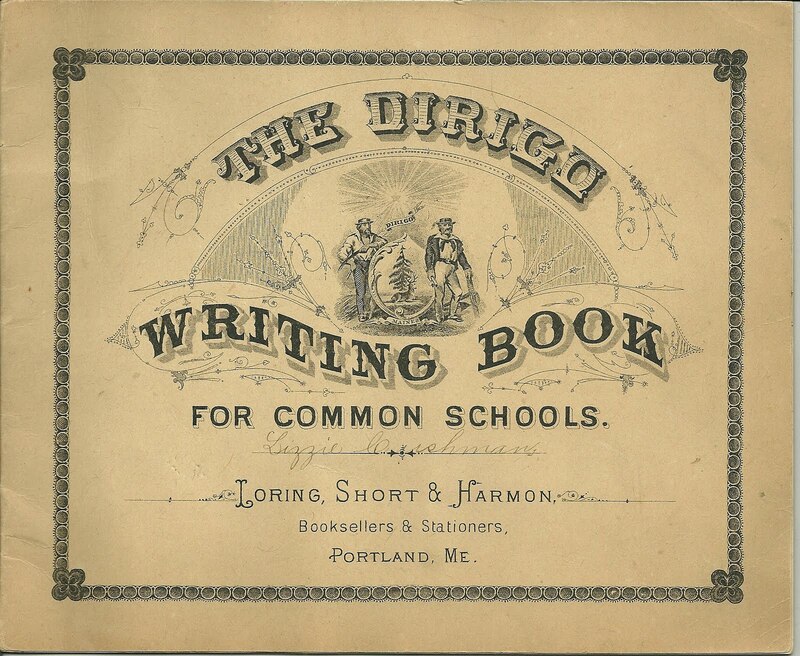 The Dirigo Writing Book for Common Schools, printed by Loring, Short & Harmon, Booksellers & Stationers, Portland, Maine. There's a place on the front cover for the student's name. As you can see, the owner here is Lizzie Cushman. Only the first page of the writing book is completed. "Lesson 189. The term pottery is applied to all ware that is opaque, while porcelain applies to that which is translucent. Sylphs, gnomes and elves are imaginary beings. 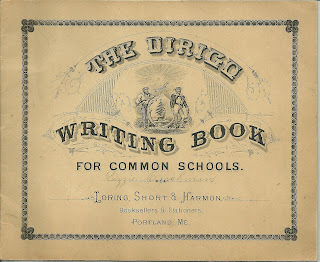 An introduction to a book is a preface; to a musical work is a prelude; to a dramatic performance is a prologue. A soothsayer is a person who professes to foretell events. Laudanum paregoric opium and morphine are drugs obtained from the poppy plant." That must have been an interesting class! Lizzie Cushman was probably a student in Maine, and I can find some possibilities from searching online, but I don't have enough to go on to identify her.